We have always raised beef cattle but it was not until the last 18 years that we have offered beef directly from our farm to our customers. Our beef is an Angus cross, which provides a great taste, but also a lean beef as well. All our beef is raised on our farm in Scott County and we pride ourselves in producing the highest quality beef. All our beef is free of growth hormones, no steroids, no antibiotics and no additives are used. Our goal is to provide consumers with a healthy, great tasting product that comes from a Kentucky Proud farm! 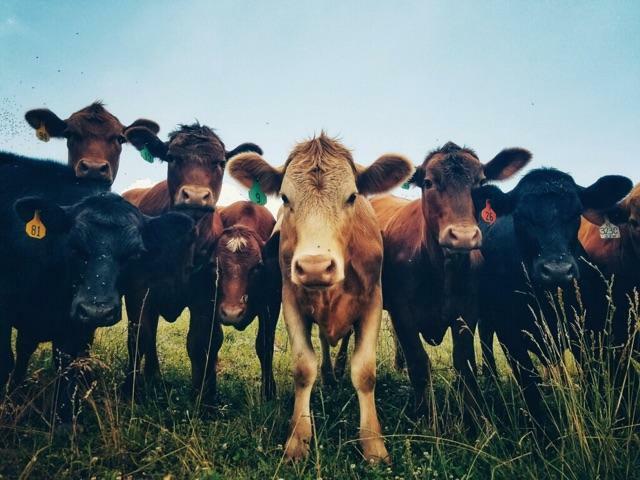 Our beef is all pasture raised and forage finished, using the row crops that we raise, such as hay, corn, wheat in which we make silage with for our cattle. All our beef is USDA inspected and is aged for 14-21 days for proper tenderness. After our beef is aged, it is then cut, vacuum sealed and frozen to insure a fresh quality product. We offer our beef in a variety of ways. Customers are welcome to purchase a whole, a half, a quarter or an eighth of a beef. 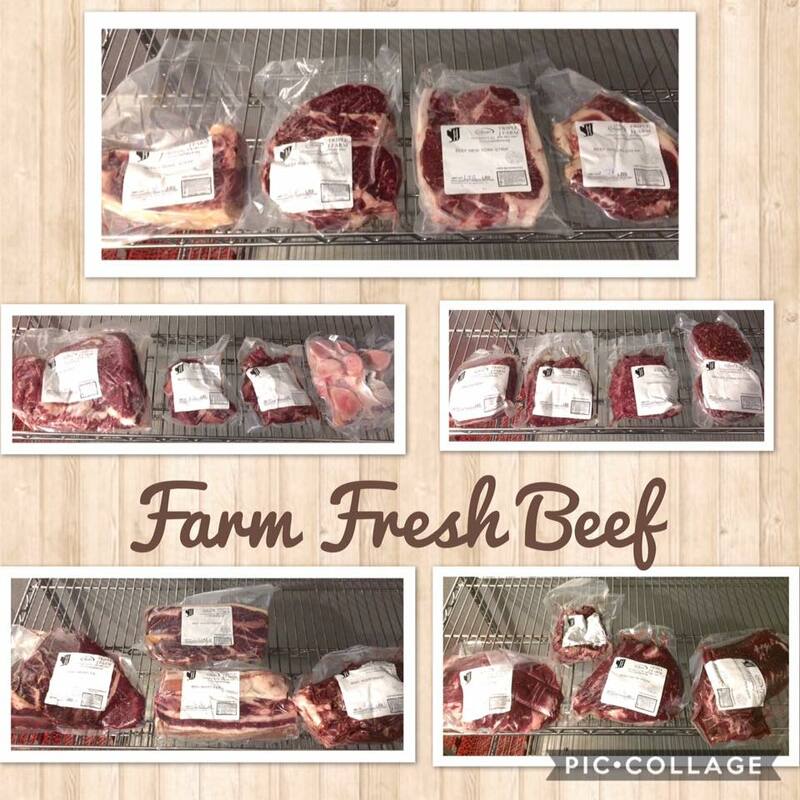 We also sell our beef in individual cuts as well.Please keep in mind that we may not have every cut selection in stock all the time! To view our current pricing please click and info regarding beef packages please click here. For more info and pricing on our packages, please contact us.